We’re running a blog post series on the “Seven Deadly Sins of Third-Party Cyber Risk Management,” here’s the sixth deadly sin, which is trusting but not verifying. We’re running a blog post series on the “Seven Deadly Sins of Third-Party Cyber Risk Management;” here’s the fifth deadly sin, which is not knowing your vendors. 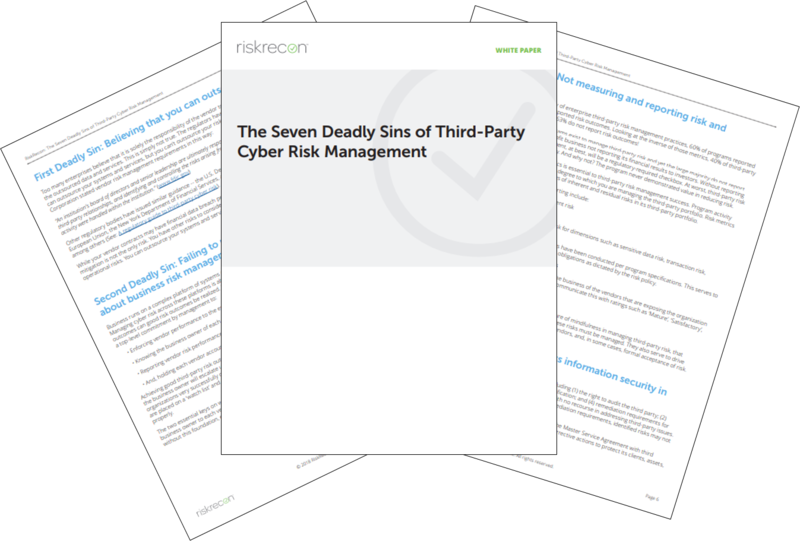 We’re running a blog post series on the “Seven Deadly Sins of Third-Party Cyber Risk Management;” here’s the fourth deadly sin, which is the failure to address information security in third-party contracts. Enterprises entrust the protection of their crown jewels—their customer data, their reputation, their finances, and their business availability—with third parties. Are they trustworthy? Why? Why not? What should be done about it? These questions are yours to answer and execute on. A breach of your third-party is a breach of your enterprise. Third-party risk management is hard. It requires deep transparency, strong accountability, and effective collaboration. Third-party risk has to achieve this position with hundreds and even thousands of organizations while being an outsider to every organization. Additionally, third-party risk has to solve this with limited personnel and resources. This need—to achieve really good risk outcomes from the outside with limited resources —will result in dramatic risk management innovation, key of which will be development of machine learning and artificial intelligence-based risk assessment capabilities. These inventions will occur within the context of third-party risk management and be adopted by enterprises for internal risk management. Necessity is the mother of invention, and the necessity is pressing in a big way. 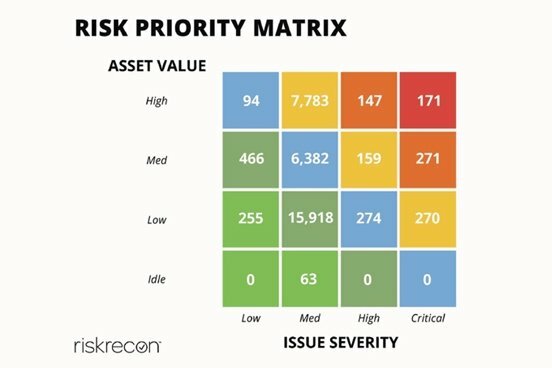 Third-party risk management is a process of holding enterprises accountable to good security practices. As you improve the security of your third parties you improve the security of the Internet. It decreases the likelihood of data being breached. It decreases the likelihood of systems being turned into DDOS drones or malware servers. It increases the likelihood that systems are going to be consistently available to fulfill their intended purposes. The work of third-party risk management is work for the greater good. The Meltdown and Spectre vulnerabilities represent an entirely new class of security flaws that are deeply rooted in long-standing CPU architecture. As such, Meltdown and Spectre are likely the first of many issues that will have to be dealt with quickly as research in CPU security flaws intensifies. Tactically, it is important that you ensure your third-parties implement the necessary patches. Strategically, it is essential that you reassess your standards governing third-party use of cloud-hosting providers and implement measures to bring your third-parties into compliance with the updated standards. 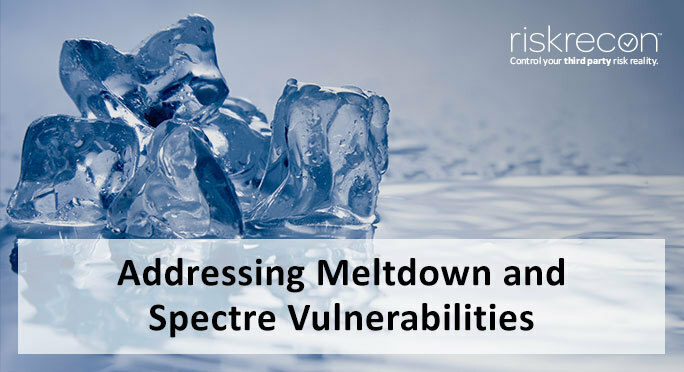 In this document, we provide a brief explanation of the Meltdown and Spectre vulnerabilities and why they are so impactful, particularly to cloud computing. 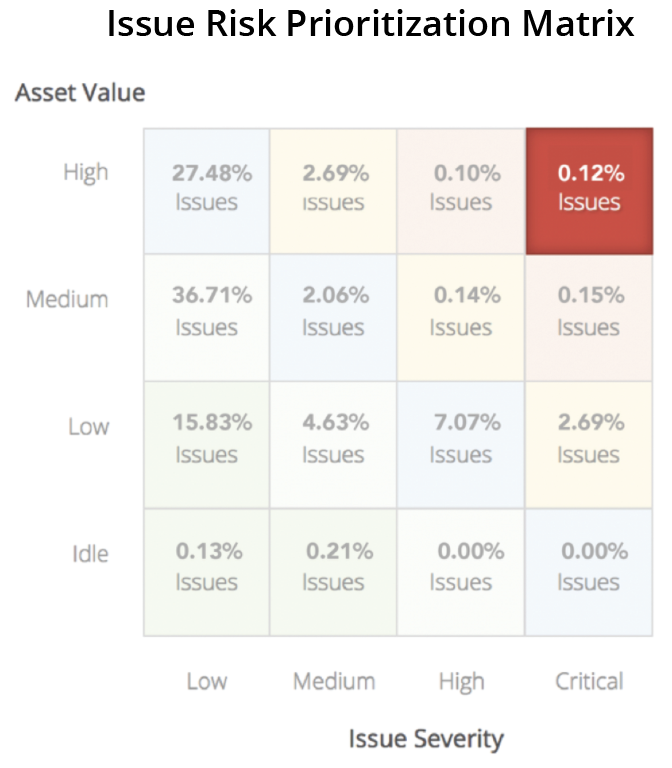 We also suggest a tactical plan for addressing the issue with your third-parties, and recommend strategic considerations for your larger third-party risk-governance program. 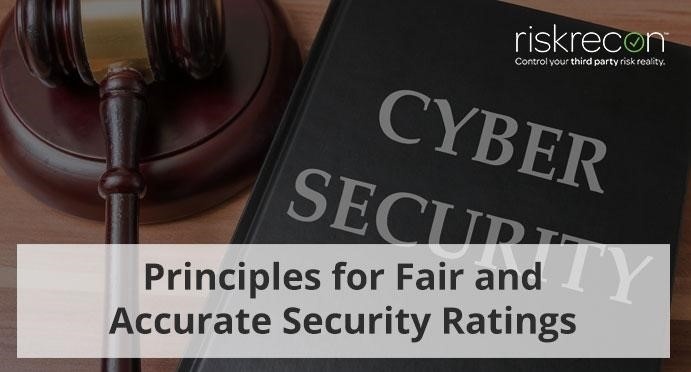 The U.S. Chamber of Commerce just issued “Principles for Fair and Accurate Security Ratings.” These ratings are the first-of-its-kind guidelines for an emerging class of solutions that provide objective assessments of third-party security practices. These solutions complement traditional third-party risk management data gathering processes of vendor security questionnaires, attestation document reviews, and on-site assessments.